Walter Marion Jacobs was born in Louisiana, USA. By the age of 12 he had quit school for a life of busking, playing the guitar and harmonica on the street. Having perfected his trade learning from the older blues masters, he moved north to Chicago. Here his harmonica prowess was instantly noticed, and when he grew tired of being drowned out by the new electric guitar players, he picked up a microphone, plugged it into the PA system and started to blow ‘electric’ harp. He soon started to experiment with the distorted effects of playing harmonica through a crystal microphone connected to an overdriven valve amplifier. Coupled with his incredible sense of timing and rich natural tone, the result was revolutionary. Walter’s reputation preceded him and he was quickly signed up by one of Chicago’s major blues band leaders, Muddy Waters. Together with other blues aces such as Jimmy Rogers (guitar), Otis Spann (piano), Willie Dixon (bass) and Fred Below (drums) they went on to become perhaps the most famous blues band in history. 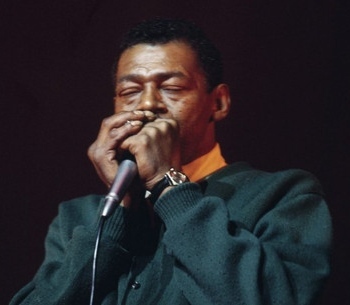 Little Walter’s legacy has been greatly studied and admired ever since his untimely death in 1968, but it has never been bettered. He changed the sound of Chicago blues harmonica, in the same way the Jimi Hendrix later changed the sound of the electric blues guitar. One important technique Little Walter perfected was the tongue-block style of harmonica playing. 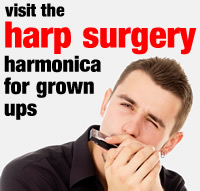 He also experimented with electric blues on the Chromatic harmonica. 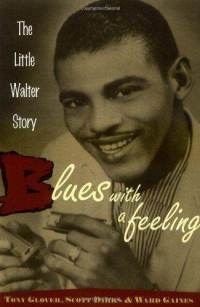 You can read about Little Walter in the excellent biography called The Little Walter Story; Blues With A Feeling, which is featured on our reference and story books page.